Are Photography eBooks the new version of Microstock Photography? 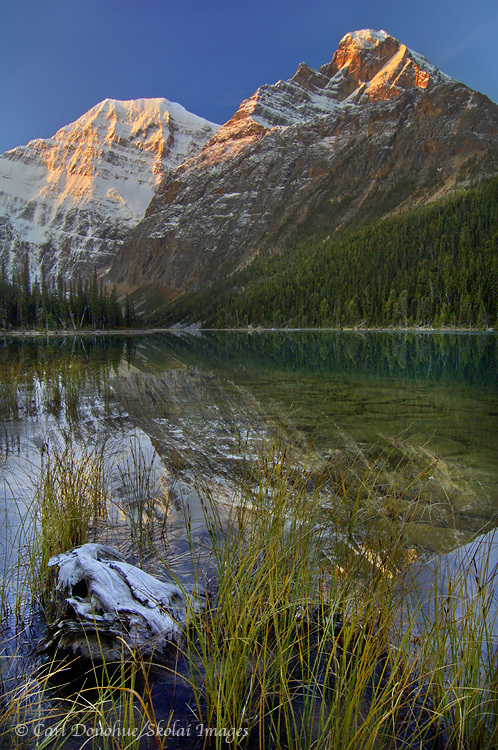 An early fall snow coats the peaks of Mount Edith Cavell, Edith Cavell Lake, Canadian Rockies, Jasper National Park, Alberta, Canada. Please click on the image above to view a larger version of this photo. Looking around the web recently I can’t help but notice the surge in photographers’ promoting eBooks. I wonder if eBooks aren’t the newer version of microstock photography? The hallmark of microstock sales is, IMO, an incredibly low price for (typically) royalty free sales; at best only very loosely managed rights. That seems to be the industry marketing model for eBook sales as well. I’m not saying this is all a bad thing. One plus I see is that the bulk of eBook sales are direct from the photographer to the customer; cutting out an agency, which I think is (virtually) always a good thing. Another plus is the quality of the material; the eBooks I’ve seen have been absolutely first class stuff. Microstock photos are often pretty sad images. I think the above 2 positives are more than likely related. Just wondering out loud is all. This entry was posted in Canada, Jasper National Park, Landscapes, Musings, Photo business, Photography and tagged Edith Cavell on April 14, 2011 by Carl D.
I have wondered much the same thing, more along the lines of how the traditional print book authors feel about the growing popularity of e-books. I have wondered if the coffee table book has a short remaining life span given the expense to produce them. I think the traditional print industry brought on its own undoing, regardless of technology, when it became the business of large corporations. A new author today has to put quite a bit of money upfront and is lucky to get 10% off the cover price for their efforts due to the negotiating powers of mega book sellers and any number of agents and middlemen taking their cut. In contrast, eBooks can be marketed independently, the author gets complete control over layout and editing (for better or worse), names their own price, and keeps almost all the revenue. Sounds more like old fashioned RM than Microstock to me. The same could be said of the photo stock industry, I suppose. Photo websites became the model for many who previously would’ve sold all their work via stock agencies. At the same time, many stock photographers maintained at (or close to) standard industry pricing; microstock is the selling of high volume at low rates. @ Mark Graf: I wonder the same thing. Though they’re a different product, for sure, as overall printing volumes go down, I suspect the cost to print a coffee table book will increase, and that alone may well make them not workable, even if demand remains high enough to warrant production.